The 1923 W572 Baseball Card Set includes 121 cards measuring 1 5/16" x 2 1/2". 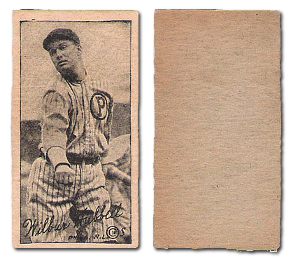 The front of the W572 cards have the same picture as the popular E120 American Caramel set and are found with either black and white, or Sepia photos. Card backs are blank. Some of the key Hall-of-Famers included in this issue are the: W572 Babe Ruth, Ty Cobb, Rogers Hornsby, Walter Johnson, Eppa Rixey and Tris Speaker. CLICK HERE if you want to sell your 1923 W572 Baseball Cards.